The geographical position of Portugal, which covers the biogeographical regions - Atlantic and Mediterranean in Portugal and Macaronesian in the archipelagos of Madeira and Azores - explains Portugal’s high biological diversity. In Portugal the Fundamental Network for Nature Conservation includes, among others, the National Network of Protected Areas and Natura 2000 Network. In December 2010 the total area under the National Network of Protected Areas and Natura 2000 Network accounted for about 22% of the Portuguese continental territory. In Portugal within Natura 2000 network there are 96 Sites of Community Interest (SCI) and 59 Special Protection Areas (SPA). In Azores were ranked 2 SCI, 23 Special Areas of Conservation (SAC) e 15 SPA, while in Madeira were classified 9 SCI and 4 SPA. In comparison with the other countries of the European Union, Portugal is above the average (about 15%). Only countries like Spain, Bulgaria and Slovenia have a greater percentage. 1 National Park: the only one is “Peneda-Gerês” National Park created in 1971. 13 Natural Parks: the oldest is “Serra da Estrela” Natural Park, the highest mountain of continental Portugal with an altitude of 1993 meters. 9 Natural Reserves: the oldest is “Sapal de Castro Marim – Vila Real de Santo António” Natural Reserve. 10 Protected Landscapes: the oldest is “Serra do Açor” Protected Landscape. 7 Natural Monuments: the oldest is “Pegadas de Dinossáurios de Ourém/Torres Novas” Natural Monument, located in ‘Serra de Aires e Candeeiros’ Natural Park. In Azores there are 31 Protected Areas – 9 Natural Parks (one per island) and 1 Marine Park. 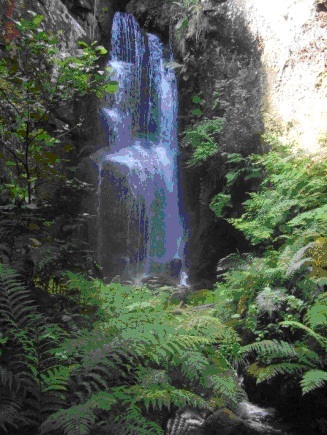 In Madeira, in 1982, the Madeira Natural Park was created covering about 2/3 of the island. Within it Laurissilva is classified as a Biogenetic Reserve by the European Council and as a World Natural Heritage by UNESCO.